“Overall, the real rise in spending in Scotland from 2000-11 has been 53% – a figure that gives some important context to current discussions of economic austerity below (but note that the cash rise, close to 100%, is a very (and increasingly) misleading figure often used by elected politicians to reinforce the importance of the Union dividend). The first drop in real spending (2010-11) follows a series of very large real rises in annual budgets since devolution”. Now, if you don’t plan to read the whole thing, note that this is a discussion of all identifiable spending in Scotland, not the Scottish Government budget. https://docs.google.com/document/d/1XJYv-6Lj1bMY06oTHqTluO6KjWOA4bHETY3afNE8hfo/edit . If you have any polite comments on my numerical skills, please make them politely. Thanks to Richard Ashcroft (the academic, not the singer) for helping with the equations necessary to work out future spending using the GDP deflator in table 11.2 (although I don’t show my working in the chapter). “In this chapter we discuss what may be the most important area of Scottish politics. Public finance is a key aspect of the political process, and the issues raised in this chapter inform most of the themes discussed in this book. Yet, despite the importance of finance to Scottish politics, and long running debates producing calls for reform, the system of raising and distributing money has not changed since devolution. Post-devolution Scotland contin¬ues to receive almost all of its funding for public expenditure from the UK Treasury in the form of a block grant. The arrangements for the transfer of this money are almost identical to those which existed pre-1999 and reflect the continued use of the Barnett formula to alter the block grant at the margins. This formula, and its history, is the main focus of the chap¬ter since it is central to an understanding of power relations between Scotland and the UK. These relations are often linked to the idea of Scotland’s ‘financial advantage’ compared to the rest of the UK and the ability of the Scottish Government to spend, but not raise, its money (the issue of finance also informs our discussion of power within Scotland, but the Scottish Government relationship with the Scottish Parliament and local authorities is discussed in chapters 5 and 10). • highlights trends in Scottish Government spending. Well, what better way to celebrate Andy Murray’s US Open win than to read about group-government relations in Scotland after devolution? I am co-authoring a second edition of ‘Scottish Politics’ with Neil McGarvey. It will appear in 2013. It includes a significantly revised chapter on ‘pressure politcs’, updated to include the post-2007 SNP era. The main argument is that, while we can identify a ‘Scottish Policy Style’, we should not assume that Scottish and UK policymaking processes necessarily differ. Or, if they do, it may be more to do with Scotland’s size and the Scottish Government’s capacity than a new culture of openness or Scotland’s ‘consensus democracy’ institutions. 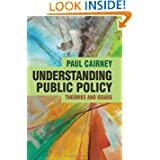 It focuses on Scotland, but has some things to say about the often-mistaken assumptions we make about UK policymaking (a point expanded on, for example, here – http://onlinelibrary.wiley.com/doi/10.1111/j.1478-9302.2011.00233.x/abstract)(email me if you are struggling for access to the article). “Chapter 5 suggests that the Scottish Parliament did not foster new and effective forms of deliberative and participatory democracy. It highlights the similarities between the Westminster and Holyrood systems and argues that, in both, most policy is formulated outside the legislative arena following regular consultation between govern¬ments and pressure participants such as interest groups. This chapter examines the extent to which that process of policymaking is distinctive in Scotland following devolution. In other words, is there a ‘Scottish Policy Style’? Policy style refers simply to the ways in which governments make and implement policy (Richardson, 1982). 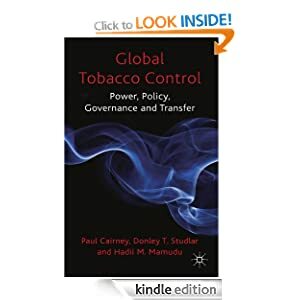 It has two dimensions: the way that governments make policy, in consultation with pressure participants; and, the way that they implement policy in partnership with organizations such as local authorities (discussed at more length in chapter 10). We can identify some hopes for ‘new politics’ in this area, linked to the idea that Scotland is a ‘consensus’ rather than a ‘majoritarian’ democracy (box 7.2). The SCC proposed, albeit in a rather vague way, a new type of pluralist democracy in which consultation with affected interests would be as wide as possible, not only with established interest groups but also previously excluded groups with a limited voice and ability to organise. This push for broader consultation is associated with a monitoring role performed by Scottish Parliament committees who may oblige the Scottish Government to consult far and wide until they are satisfied that all groups have ‘had their say’. This would perhaps help produce a new and improved consultation process between the Scottish Government, Scottish Parliament and a wide range of representative organizations in the community, voluntary sector, professions and business. This inclusion of hitherto excluded sections of society would come at some expense to the ‘usual suspects’, or the larger and better resourced groups which tend to dominate consultation time with government. The tone of much of these recommendations is based on the idea that new forms of consultation would take Scotland further away from UK policymaking which is relatively ‘top-down’ and based either on a lack of proper consultation or consultation restricted to a small number of powerful groups that squeeze out the competition. Yet, much of the policymaking literature suggests that this image of the UK is a caricature based on minimal evidence. 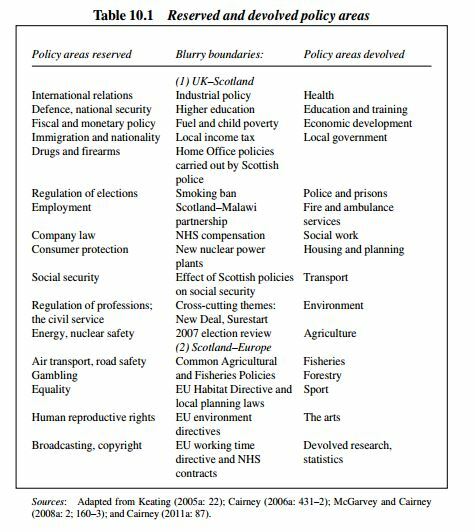 Scotland may have its own policy style, but this is often related to factors unrelated to ‘new politics’ (such as Scotland’s size and the scale of its responsibilities). The recommendations are also perhaps based on the assumption that there can be a Scottish-specific arena in which pressure participants can engage. Rather, organised groups must consider how best to influence policy in an era of ‘multi-level governance’ in which many levels and types of government are involved, from the European Union to local authorities (chapter 9). Further, the role of local authorities has changed since 2007 (chapter 10), prompting many groups to reassess their lobbying strategies. • The meaning of ‘pluralist democracy’ and the SCC hopes for a new Scottish Policy Style. • The nature of pressure politics in Scotland. • The evidence of a difference between Scottish and UK policy styles. • The strategies of interest groups in Scotland who are faced with uncertainty in the era of multi-level governance. 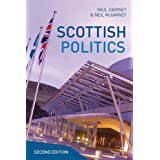 I am co-authoring a second edition of ‘Scottish Politics’ with Neil McGarvey. It will appear in 2013. It includes a reasonably revised chapter on IGR, updated to include the post-2007 SNP era and developments since 2010 (Conservative-led UK Government). The argument is still very much that IGR is generally informal and that there are perhaps far fewer major public disputes than we might expect (perhaps with the usual exception of the independence debate). The chapter can be found here – https://docs.google.com/document/d/1cixHY2OFXWiQmABedXiPE1YjVBh8aGHdL3NIJSlW25g/edit . I have just managed to pad out a book review (Comparing Devolved Governance Derek Birrell, Palgrave, 2012, 296 pp. ISBN: 978-0-280-27820-7) to 3000 words in Parliamentary Affairs. The first section is copy and pasted below and you can read the rest here if you are an academic or a rich personal subscriber. If you are neither, and want to read the rest, send me an email and we can arrange to meet in a dark alley with brown envelopes. “The study of politics in Scotland, Wales and Northern Ireland is not something guaranteed to attract a wide academic audience, even in the UK. Further, that attention tends to be about specific things, such as the prospect of independence in Scotland, further devolution in Wales or levels of political conflict and violence in Northern Ireland. At a push, it might extend to the analysis of different electoral results and party systems. Yet, the devolved government experience has much more to offer, providing a rich source of evidence to inform policy learning among governments or simply to provide a comparative analytical and empirical framework within the UK. This can be done in two main ways: comparing the UK’s increasingly complicated governance arrangements with other countries; and, comparing UK and devolved government behaviour. The latter has much potential even though the devolved territories and governments are markedly different from England and the UK Government. This difference can often be a good thing for comparative analysis because any similarities in political behaviour and policy outcomes may be remarkable, while the differences help us tell a story about why things are done this way in the UK. Indeed, the Scottish and Welsh context is particularly important because devolved ‘new politics’ was often sold as a departure from ‘old Westminster’ (the Northern Ireland narrative was based more on power sharing and domestic politics). Scotland in particular was perhaps designed to be a consensus, not majoritarian, democracy. In this context, the devolution literature highlights a wide range of interesting sources of comparison.